Both the Losing It Series, and Pushing the Limits Series are excellent. In fact, they are two of my favorite! I am dying to read both of these books, and have really high expectations for them! Both Ms. Cormack, and Ms. McGarry are talented authors that know how to pull their readers in. I can't even beginning to tell you how excited I am to read the both of these books! My calendar is marked with the release dates, and Keeping Her, and Losing It are two books that I am impatient to read! Everyone seem to be reading that Losing It series I'll have to check it out! But I'm dying to read Crash Into You!! :) Great picks! I'm adding this two books to my to-read list :) Great picks. Oh my gosh, YES! Crash Into You - and it has a released date now *happydances*. Can you tell I'm excited about this as well? 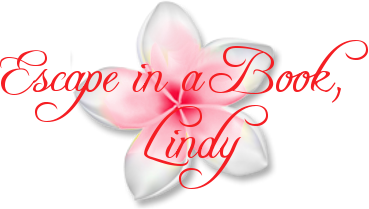 Thanks for sharing Lindy :) Happy reading. I really, really need to get into Carmack's books. I'm hoping to pick one up in July! And Crash Into You! I loved Pushing the Limits, and sadly haven't had time for Dare You To, but the series is just amazing. Love you picks, thanks for sharing! Thanks for stopping by, and Congrats on your blogoversary!!!! Great picks Lindy! I want them both toooooo! Great picks! I want to read both, but I am dying for Crash Into You. Thanks for sharing! Everyone seems to have Crash Into You this week it seems. Nice pics. I hope you enjoy both when you get the chance to read. This one is on my TBR list as well. Great selection! Two great WoW picks! The author of Dare To You is going on tour with Julie Kagawa!!! I haven't started reading the Losing It series yet, but I have it on my tbr. I can't wait to read Crash Into You. Great picks this week! Thanks for stopping by. Yay!!! I'm so excited Reese :) I look forward to visiting you tomorrow! Yep, both of these are on my list. And I'm actually caught up on these series! Great picks! Thanks for sharing & stopping by! I'm your newest follower via both Bloglovin' and GFC! Thank you Melissa! I'm glad you liked my picks, and also for following our blog! I look forward to getting to know you better! LOVE YOUR PICKS! Can't wait for them! i <3 your summer themed blog. and great picks! i'm hoping to pick up pushing the limits this summer. katie mcgarry have been getting all the raves recently. Oh, I'm glad I got to share it with you! Thanks for stopping by Sara! Oh yay! I loved Dare You To, so I'm sure Crash Into You will be amazing! I love the cover on the second one! Me too! Thanks for stopping by Jessica! I already have Keeping Her pre-ordered and can't wait for it!! 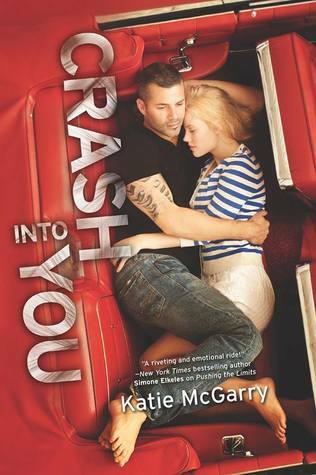 I never did finish Dare You To, but I am really looking forward to Crash Into You because I need Isaiah's story!! Eeeep! I am waiting on both of those too! I definitely want to see more Garrick and Bliss (though Cade really captured my heart) and Isaiah! Sigh, that boy needs a HEA. Great choices! I love Cora Carmack! I'm definitely adding this to my TBR and Crash into You looks good. I liked her first book. Great picks! Can't wait for Katie McGarry's next book -- love the cover. And Cora Carmack, too! Nice picks! I hear so many great things about Cora Carmack! I should read these soon! AND YES! Crash Into You. Love these books! Both of these are awesome picks. I am so so so excited for Crash Into You. That series is amazing. I started both series and I can't wait to finish them! I know with the Pushing the Limit books Noah and Beth already kind of got their resolution and I need Isaiah to get his! I haven't started reading the Losing it series yet. I can't wait to read Crash Into You. I really love contemporaries! Thanks for stopping by. Great choices, Chicka!! I can't wait for these either!